Mill History - Honeyville, Inc. 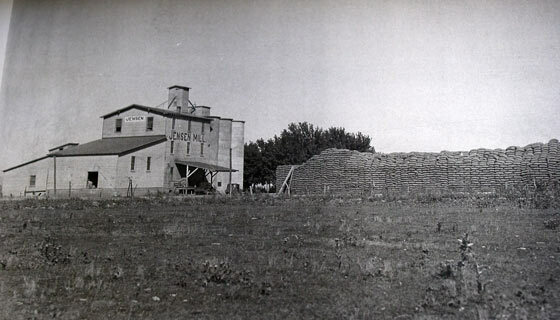 The Honeyville Mill dates back to 1917. Originally the Jensen Mill, it has evolved and been rebuilt from the ground up into today’s state of the art milling facility. Lowell Sherratt Sr. farmed wheat and owned a ranch in Cedar City, Utah. As an entrepreneur and skilled business man Sherratt Sr. was always looking for new opportunities. After speaking with a large company that was in need of cracked wheat Lowell Sherratt Sr. built with his own hands a grain cracker and began supplying cracked wheat. 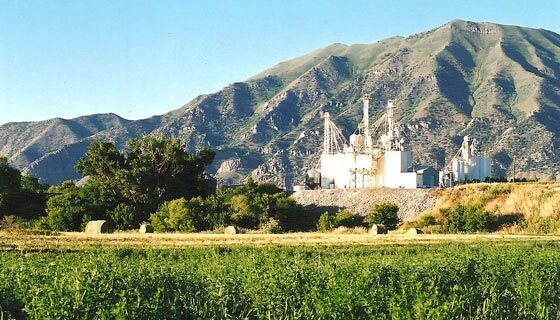 The business boomed it grew and grew so much that he had to move the business to Milford Utah where he was near train tracks and began cracking corn as well as wheat. Lowell Sherratt’s business was growing at rapid rates and his location could not handle the supply and capacity that he needed. At this time he visited Brigham City, Utah and came across an old mill in Honeyville, Utah. This is where it all started. Lowell Sherratt Sr. purchased the Mill, remodeled it, and business soared! Not long after purchasing the Honeyville Mill disaster struck. An arsonist targeted the Mill and the Mill burned to the ground. Saddened but not discouraged Lowell Sherratt Sr. used his determination and ingenuity to rebuild the Mill from the ground up! Much of his own craftsmanship was used in building the new Mill. With the new Honeyville Mill (originally called Honeyville Grain and Elevator Inc.) complete business boomed once again and service offerings expanded. Literally out of the ashes Honeyville Inc. has endured, evolved, and risen into the whole grain leader that it is today!